As the title says, any recommendations for an electro acoustic guitar for my daughter? having said that....how about taking her for the day out to gear4music in York and sh can walk round the acoustic room trying stuff within your budget.....although I'm of the opinion warehouse type places like gear4music have wiped out the high street music shop they are still quite nice people in there. 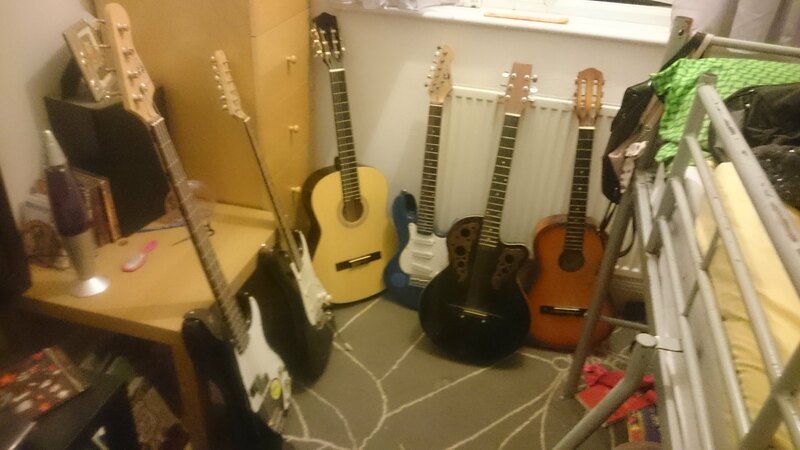 I bought my youngest but one an Epiphone jumbo from there a couple of years ago. At the time it was head and shoulders the best budget guitar out there. Last edited by ed on Sun Nov 11, 2018 6:07 pm, edited 1 time in total. Do you mean something like a Ovation, an acoustic with built in pick-up, or a semi acoustic type? Chris will know what the world of pick ups is like now, but I would have thought you can just fit a pick-up if she has an existing acoustic she likes. the one I bought my son was an EJ200 which is not on that list for some reason....but theres a good spread of prices..
the Takemine G series are probably worth looking at although from experience you really need to pay attention to the build quality...they are not anything like the real Takemines. don't buy on spec......she really needs to play them for a while to choose the one that ticks all the boxes. the other classic sounds like a bag of arseholes, really twangy and loose sounding. its horrible. i should have set it on fire on the 5th.. nobody in the house likes it. the blue electric is a gear for music and isn't bad, the black one is nigh on identical and sounds nicer but is abit too heavy for her. the bass...... is a bass, i can get a tune out of it and isnt bad for an el cheapo. there are a couple of amps somewhere too. she had to borrow an electro acoustic today to play at the local club, and said it played nicely (ibanez). My advice on guitars will always begin with defining a budget and then playing everything you can get your hands on till you find the one that sings to you. That said, assuming Taylor is out of reach, Ibanez, Washburn, Takamine, and Yamaha all do some pretty nice acoustic/electrics that aren't too spendy. My Washburn EA-45 is nearing 30 years old and I love it just as much as I did the day I bought it, but if I were buying new today I'd go with a higher-end Takamine or Taylor most likely, though to be fair I would have a much bigger budget than you do. Consider buying used. You'll get a better deal and guitars really DO improve with age. It sounds like you've had the allen keys out, and "adjusted" the truss rod. FWIW, instead of getting guitars that specifically have pickups, I'd suggest getting a decent mic and going from there. That way, the options are open for future choices of guitar. For live use, a Beyerdynamic M201TG would be worth a look. I can make plenty of other recommendations if it's something of interest. It takes a little getting used to, but being able to alter the volume (and tonality) by moving 6" can introduce a new dynamic to playing live. I'd be happy to lend out a few mics and a mic stand to play around with for a few weeks.